We know that hormones are what cause acne. Androgen hormones including dihydrotestosterone and testosterone, the adrenal precursor dehydroepiandrosterone Sulfate, and other hormones, including growth hormone or insulin-like growth factors all may have a role to play in acne. A hormonal acne treatment can be used for women. Hormonal acne treatments seek to either block the androgen receptors in the sebaceaous gland (spironolactone, flutamide, and cyproterone acetate which I won’t discuss since it is not available in the United States) or moderate these hormones in women using birth control pills containing estrogen, or what are known as gonadotropin-releasing hormone agonists (that’s a mouthful). READ MY REVIEWS OF THE TOP-RATED ACNE TREATMENTS HERE! My personal feeling is that these hormonal acne treatments may work as long as you continue taking them but they don’t cure the root of the problem. They are more like a corrective mask as opposed to the treatments that I recommend which may actually cure the problem permanently. However, these acne treatments may be useful where other treatments have failed (and if you are a woman! – sorry guys) or if there is an underlying endocrine disorder. If you have an endocrine disorder, you should pay attention to your doctor when it comes to taking these treatments. My advice is more suited to women without underlying medical conditions. It has been known for a long time that estrogen given in the form of birth control pills helps to reduce acne in women. Estrogen reduces sebum production and with lower sebum, comes fewer pimples. It takes a stronger dose of estrogen to suppress sebum production than it does to stop ovulation. The original birth control pills contained 150 micrograms (mcg) of estrogen and these doses worked great for acne. Because of the side effects from estrogen, today’s pills contain much less – usually 25-40 mcg and are less effective in acne treatments than birth control pills of old. Still, studies have shown that between 50-75% of women who take birth control pills experience acne reduction of almost 50%. While this sounds like a lot, it is far from a cure. You can still expect to have half of your pimples while taking the birth control pill. It works best if you combine the pill with other treatments if you want truly clear skin. Many women find that they develop acne when they stop taking birth control pills. This is because the estrogen in the pills was working to reduce androgen hormone production by the ovaries. However, it also illustrates that the underlying cause of acne – hormone imbalance – returns once this treatment is stopped and other homeopathic treatments may be in order to tackle this underlying problem. 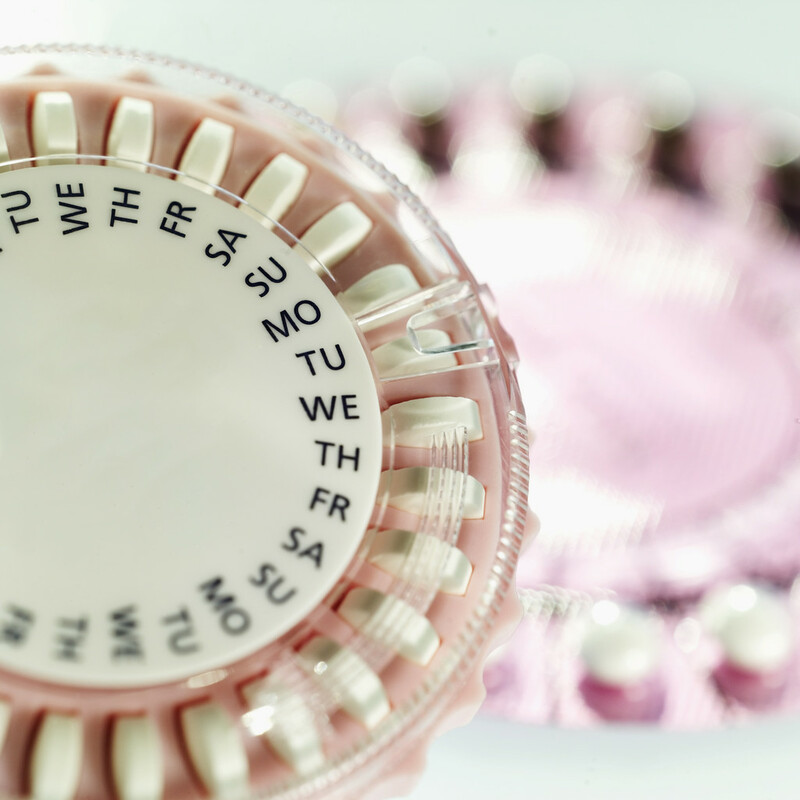 Birth control pills often take three months before you notice any result. These agents are related to birth control pills in that they also block androgen production by the ovaries. buserelin, nafarelin, and leuprolide are examples of this type of medication and they are available by injection or as a nasal spray. These drugs basically eliminate the function of the ovary and suppress the ovarian production of estrogens. If you take this medication, you may develop symptoms of menopause and also hypoestrogenism. You may suffer from headaches and bone loss because of the lack of estrogen. This drug decreases sebum production by 30-50% in women who take it. It is sometimes used in woman who have deep inflammatory nodules and not if you have mild to moderate acne. Side effects include breast tenderness and irregular menstrual cycle (which can be inconvenient!) Anyone taking this treatment for acne must be monitored by their doctor for potential side effects. Stomach bleeding, rashes, and interference with anti-depressants are frequent side effects. This drug is used to treat high blood pressure and is a diuretic so you may have to urinate more frequently and take more water when you are on this treatment. It can take 6 months before the benefits to your complexion are known. This antiandrogen is available in the United States and is a very strong drug usually used to treat prostate cancer. Anyone taking this has to be monitored for liver problems because there is a high risk of hepatitis and even fatal hepatitis. In this case, the risks seem to outweigh the rewards. I would have serious questions for a dermatologist who prescribes flutamide to treat acne. But it is done. It will take 6 months (if you don’t heed my advice to avoid it) before the benefits are clear.